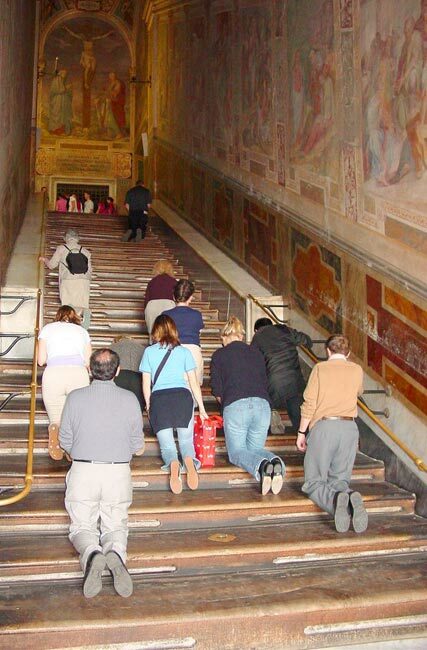 The footsteps of the Saints and the glory of the Popes. A comprehensive tour of Christian Rome visiting the major basilicas. 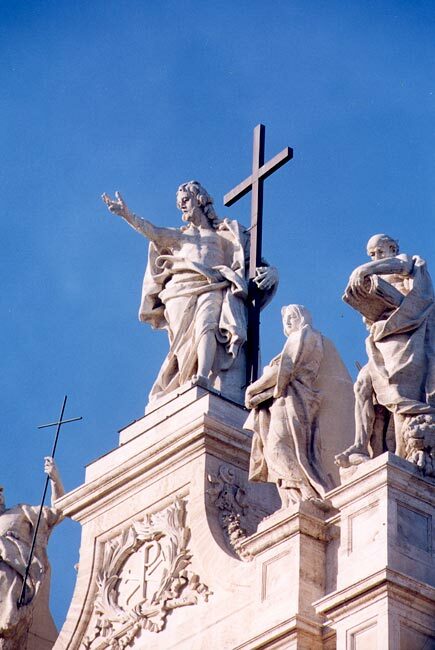 Visit St Mary the Major, St. John the Lateran, and St. Paul outside the Walls and the Church of St Peter in Chains with Michelangelo’s Moses. We start our tour visiting the first dedicated temple to Mary as mother of God founded in the 5thh century and one of the oldest in Rome, the Basilica of St Mary the Major. Such an important building was worth the greatest possible decoration, and mosaics perfectly served the goal. It is still possible to admire 27 original mosaics belonging to the earliest temple But not just that, St Mary is a large colonnaded building with a beautiful marble floor and two richly decorated chapels added in following centuries by Pope Sixtus V and Pope Paul V.
Nearby one of the greatest masterpieces of Michelangelo is awaiting us, the statue of Moses in the Church of St Peter in Chains. First built in the 5th cent. as a suitable place to keep the chains St Peter was held with when detained, the church was restored in the 8th and 14th centuries before Pope Julius II in the 15th century decided to refurbish it the way it is now. Julius wanted to celebrate his own glory, asking Michelangelo to create the largest and most decorated tomb ever to be placed inside St Peter’s basilica, although things worked out differently. 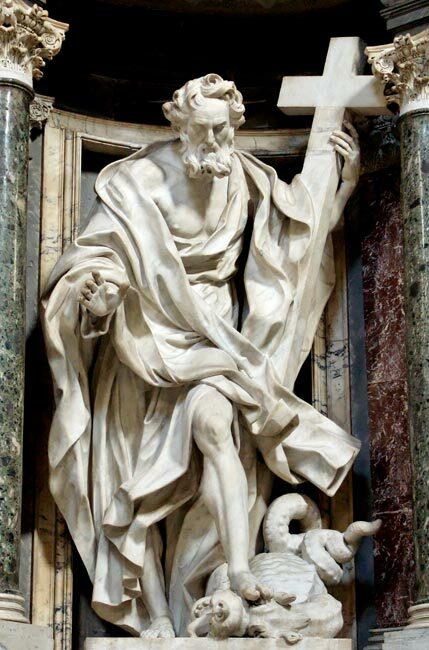 In fact Julius’s tomb is now inside the church we are visiting and Moses is the greatest statue conceived by Michelangelo for his mentor’s burial place. We end our tour visiting another of the earliest basilicas although a new one at the present, the Basilica of St Paul outside the Walls. Founded in the early 4th century by Constantine, the building was gutted by a fire in the 19th century and rebuilt shortly afterwards. The location was to honor the place where Paul was buried after martyrdom. Soon the church was not large enough to host the increasing number of pilgrims, and another much bigger church was built around 391; this is the same building you’ll visit today. 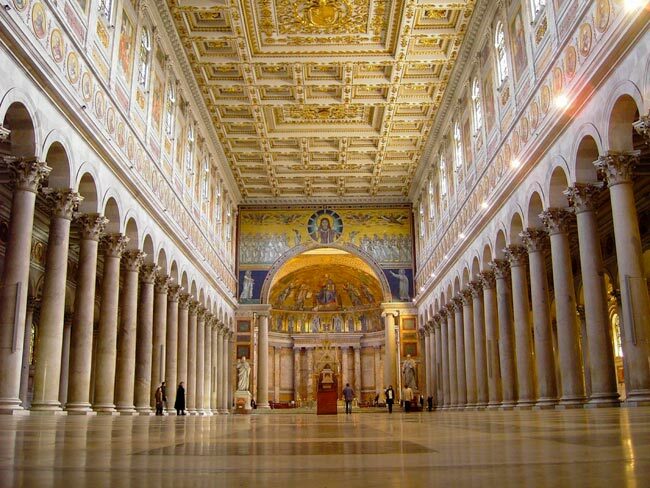 St Paul epitomizes the first Christian basilicas with huge covered spaces divided indoors in three sections separated by columns, ending in an apse. 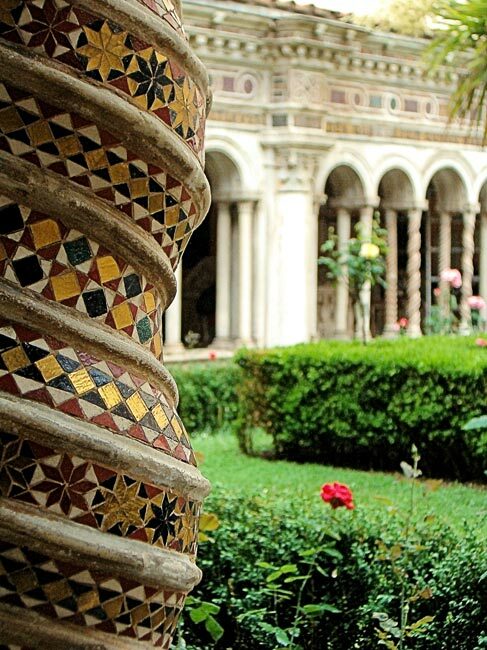 Inside you’ll see medieval mosaics, the portraits of all popes and the beautiful outdoor cloister. Note: No shorts nor bare shoulders in the Churches. Itinerary by car.